A skull and crossbones form the traditional design for a Jolly Roger. 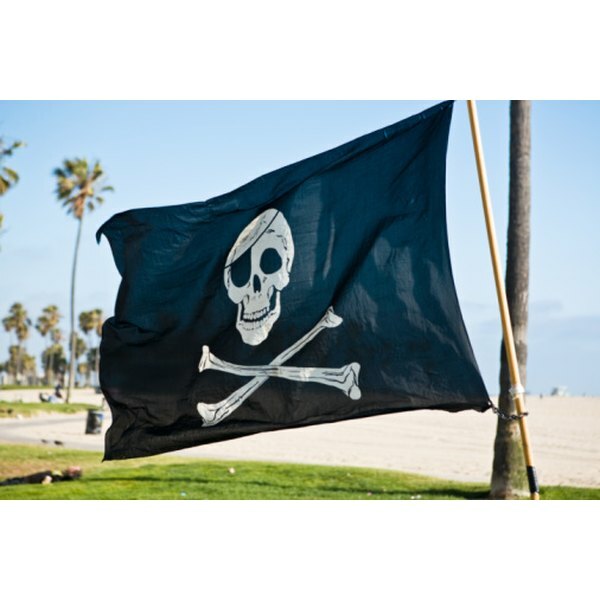 It is said that pirates raised the Jolly Roger when they were attacking to strike terror into their enemies' hearts. The most well-known design depicted the skull and crossbones in white on black, but individual pirates had their own "signature" designs. These included crossed cutlasses instead of bones and red skeletons, hearts and other decals. Today, almost every boy and more than a few girls at some stage of their lives want to dress up as pirates. 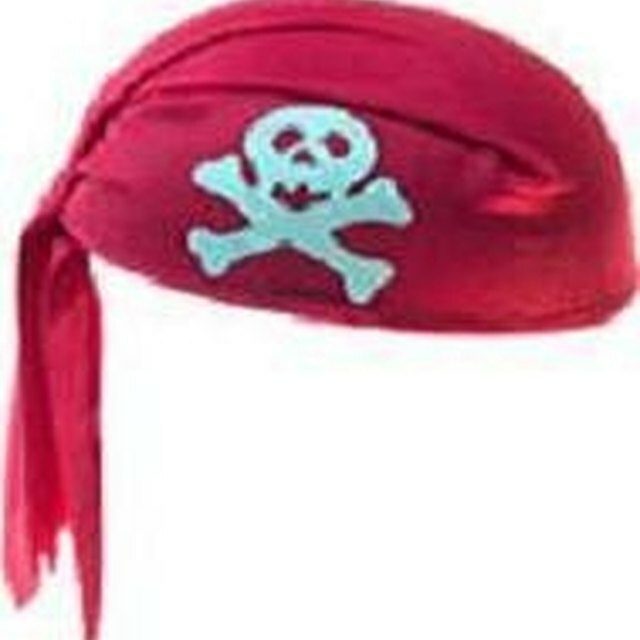 Dress-up pirates would not be complete without a Jolly Roger, which is simple to fabricate. Pick a drawing of a skull and crossbones. Traditional Jolly Rogers had the skull facing the front with the bones crossed under the skull or behind the jaw, but other options abound. A search on the Internet will readily produce any number of pictures to choose from, plus you are sure to find one at your local library. Draw the skull and crossbones or other design onto the white (and red if applicable) felt. Copy or trace each individual bone and the skull onto the white felt with a pencil or marker. Draw in the eye sockets and teeth with a black marker. Cut out each piece carefully. Prepare the black fabric. Cut the black fabric to the desired size of the flag and hem or zig-zag around the edges to prevent it from fraying. Felt does not need to be hemmed. Stick the cutout pieces on the black fabric. Arrange them first until you are satisfied with their placement. Peel off the backing and stick them on, being sure to cross the bones over one another. Place the skull above or over them. Make a flag pole. Paint black or cover a length of dowel with felt. Glue it along one side of the flag or stitch the black felt over it, seam at the back.